Registration is now open for Tennis at Your School, Spring 2018. 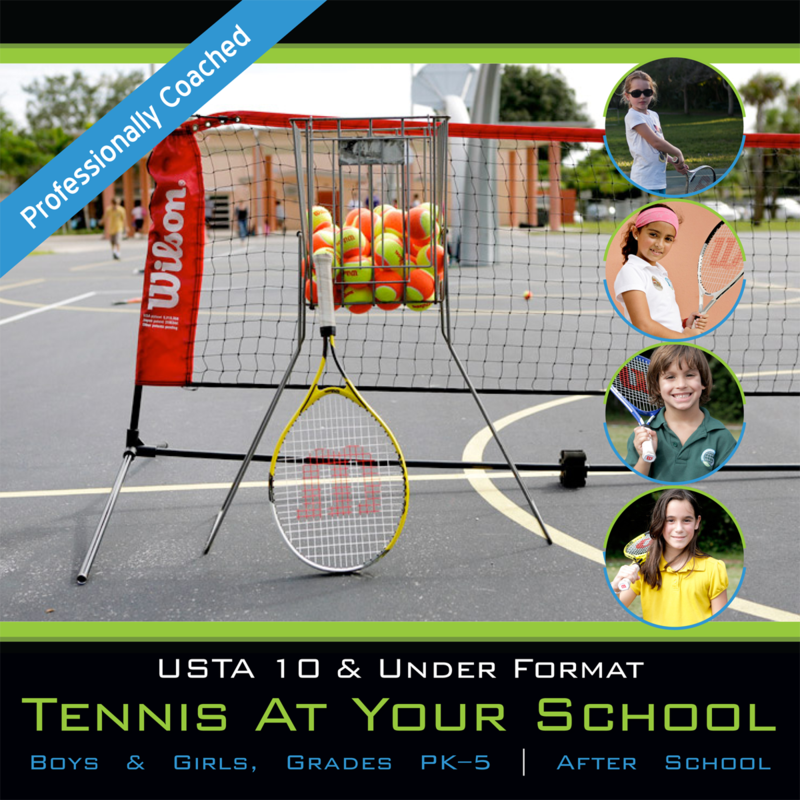 Using the USTA’s 10 & Under format, our staff will bring portable nets, racquets and balls to your school, after school, where your child can practice, play games, and learn the fundamentals of tennis in a fun, recreational setting. All coaches are certified tennis professionals. The USTA’s 10 & Under format uses child-friendly games, exercises, and equipment, including low-compression balls, miniature nets, and miniature courts. The results are immediate and within a short time, your kids will be rallying, scoring points, and having a great time, excited to learn more tennis. Registration is per season (6–11 weeks). Practice schedules vary depending on your school; however, all practices are immediately or shortly after dismissal.